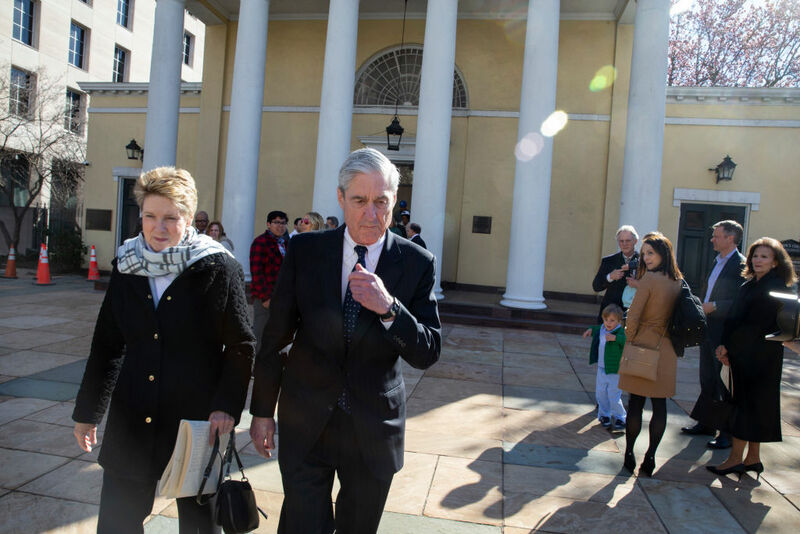 After months of frenzied speculation and breathless commentary, Robert Mueller has turned in his report. But the political landscape some said it would upend is basically unchanged. I find myself in a peculiar position with regard to the Mueller report (assuming — big assumption, I know — that we have a good enough sense at this point of what’s in it). On the one hand, I was part of the Russiagate skeptic circle. I didn’t doubt that Russia had attempted to influence the election, but I didn’t think that attempt had much if any consequence; those who did, I thought, were grasping at straws. Nor did I think there was a strong case for the claim that Trump actively colluded with that effort and had thus put himself and the United States in hock to Putin. The evidence of all the active anti-Russian measures on the part of the US since Trump was elected was simply too great to lend those arguments too much credence. I also never believed, whatever the outcome of the report, that it would be the downfall of Trump or lead to his impeachment. I always took Nancy Pelosi at her word when she said, long before the midterms, that there would be no impeachment. And like the other Russiagate skeptics, I found the constant breathless commentary, where each revelation was going to lead to the final end, where Trump was called a Russian asset (Lindsey Graham, too) grating in the extreme. And since I thought the attacks on the skeptics were nasty and often unfair, I can certainly understand why they’re now crowing; had I been as out in front or outspoken as they, I would be crowing, too. But the bottom line is that I don’t feel disappointed or surprised by the outcome of the report — again, assuming (big assumption) we have a decent enough sense at this point of what is in the report — because I had fairly low expectations of it going in. If anything, I feel relief that it’s over. I always insisted that the investigation should proceed (and thought the fear that it was going to be shut down prematurely to be vastly overblown) and that it was good that it was happening because there was clearly enough evidence of impropriety and illegality for it to go forward. I thought it was good to get to the bottom of things, and the evidence of corruption that it has turned up seems like, maybe, a useful road map going forward for thinking about political power and oligarchy. And as others have pointed out, it shows the double standards of our justice system, where the poor are punished and the rich and powerful get off fairly easily. But I always thought the vision of Trump humiliated by Mueller and then impeachment were, like the idea of Putin’s puppet or a stolen election, completely fanciful. On the other hand, unlike many in the Russiagate skeptic circle, I don’t think the Mueller report really changes much of anything in terms of the political situation we’re in. I don’t think Trump is going to get some big boost from this, as a lot of lefties seem to think. The fact is, the Democrats, on the ground, have been — very wisely, I might add — focusing on the economy, voting rights, racism, and anti-immigrant nativism. They have not been pushing Russia as an electoral question. This has always been a media and social-media obsession; for once in their lives, most Democrats, on the ground, have made the rational political calculation. So where does that leave us? Pretty much where we’ve always been. If you hoped Mueller and Russia would be the downfall of Trump and are now crestfallen, I’d say you really have no reason to feel upset. What will bring Trump down will be what was always going to bring down Trump: his failure to deliver enough to the party’s voters, the growing incoherence and unsettlement on the Right about what its basic project is all about, and the rising organization of the Left. So it’s back to our regularly scheduled programming. Hopefully, with less distraction and fewer fantasies of happy endings.